It's finally here! On PC! Argh. I didn’t get to play any Master of Orion 2 this week. I’ve been distracted by other games (I seem to be good at doing that). Anyway, besides playing the Hero-U: Rogue to Redemption beta (which I won’t go into here, not sure if an NDA or whatever is in effect or not), I’ve been playing a couple of other games: Marvel’s Guardians of the Galaxy: The Telltale Series and Horizon Chase Turbo. So, I picked up Marvel’s Guardians of the Galaxy: The Telltale Series from the Humble Store for 50% off as I promised myself I was going to get it the next time I saw it on sale. I’m about half-way through the second chapter. The game’s been pretty funny so far and it has its emotional moments, not on the same level as Tales from the Borderlands, but it’s still good. Thankfully, since it’s a more recent Telltale game I also haven’t experienced any serious framerate drops but the combat animations aren’t the best and neither is the lip synching. Also, some segments in the game have no music at all and I’m not sure if that’s intentional or not. Voice acting seems okay but maybe I’m spoiled after watching the films and expecting them to sound like the movie cast, although Nolan North does a pretty good job in imitating Bradley Cooper’s take on Rocket Raccoon. 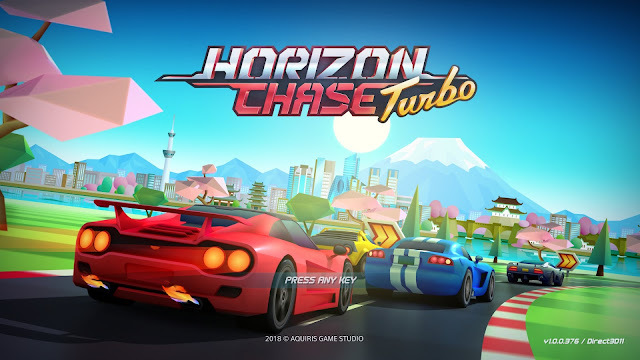 Horizon Chase Turbo was just released this week so I couldn’t say no to trying it out since it has similar gameplay to retro racing games of old along with one of my favourite composers providing the soundtrack: Barry Leitch! Hell, I even got the soundtrack to the game even before it came to PC! I’ve got nothing bad to say about the game so far, except that it is a retro racing game so there’s not really much to it; the game also seems a bit pricey at $20 USD although there are 12 stages to play plus the game has local multiplayer for 4 players. I only played this game for a few minutes this week ☹. Sorry Luke. Anyway, for the few minutes I did play I noticed that I can now get squads of 6 in my missions and man is it mayhem (since the number of enemies have also increased)!